So much is made in China. From clothing and accessories to smartphones, tablets, and computers. It’s surprising that no company has yet to capture all products and offer them in one place. TomTop is aiming to be that retailer. TomTop has spent its years in business offering everything you can imagine. This retailer aims to deliver a huge inventory of high-quality products. All items are available at the best possible prices for shoppers. Whether it’s a new smartphone or PC, TomTop offers it all. The selection of goods will amaze you as you browse them on the retailer’s website. TomTop is almost like the Chinese version of Amazon. They are focused on lowering prices and providing everything you could need at any time. One of the biggest advantages to shopping TomTop is its dedication to low prices. TomTop also offers its customers regular coupons. You can use these coupons to save on everything from already discounted deals to a brand new tech product. The inventory is always changing with the addition of new products. TomTop offers more price reductions as new items are added on the website, and older items need to be sold. Furthermore, TomTop offers customers a price match policy. Did you find another item for a lower price elsewhere? You can enter the URL of that item on the TomTop website to get the same deal here. Do be aware that TomTop claims lower prices from other sellers are due to high shipping costs. This means you could miss out on a price change if TomTop thinks that shipping is a factor. TomTop utilizes many different social media sites. The most popular of these is YouTube. YouTube is often a place for informative videos, hilarious fails, and DIY inspiration. TomTop uses this social media platform as a way to let customers know all about their latest products. Find videos featuring specific individual products like remote control cars and even mini-drones. These videos show product specs, the products in action, and even people putting them to work. The videos you see on YouTube appear on TomTop’s Twitter page as well. Facebook features the same types of posts. Discover links back to YouTube videos as well as seasonal shopping events. If you need to reach out to the TomTop customer service department, use the support page. This features a list of frequently asked questions already answered for customers. You can, as a registered shopper with an account post topics or issues. You can even reply to other clients’ questions if you know the answer. There is no email listed that would put anyone in touch with a customer service representative to handle an individual order problem. Do take the time to subscribe to the TomTop email newsletter. It promises that you’ll get $50 in coupons delivered to your inbox immediately for future use. The option to sign up appears at the bottom of the page as you shop. Don’t miss out on the TomTop flash deals section. There, you’ll discover that you can get as much as 75-80% off products, but they only last a short while. Some last two weeks, some last two days. Make a point to check out the door crasher deals every day. These are limited stock deals available for just one day; daily, at 6AM UTC, new door crasher deals appear. If you want a sneak peek of what’s coming up so you don’t miss out, you can even scroll down and preview some of the upcoming door crasher deals for the rest of the week. TomTop has a points and rewards program for frequent shoppers, but it’s a benefit that’s hard to find on the website if you’re new to the retailer. 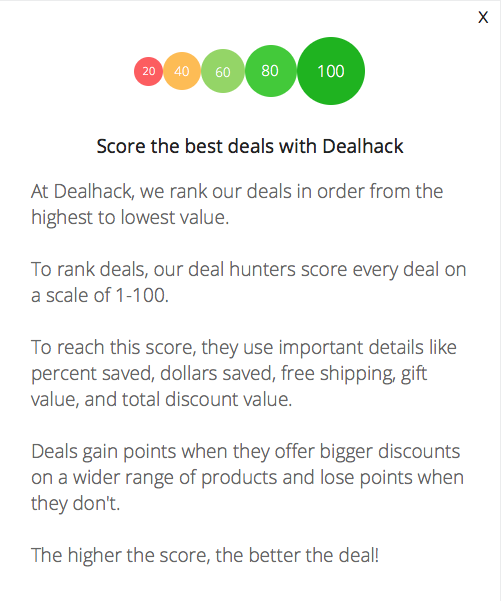 Actions such as signing up with an account, joining the email newsletter, posting questions, and placing orders earn you points, and those points can be used to score discounts on future purchases. What is Today’s Best TomTop Promo Code? The best TomTop promo code right now is TAROMA. This code is for '$66 off AROMA ARG-05 Wireless Guitar Audio Transmission System Transmitter + Free Shipping'. Copy it and enter it on the TomTop checkout page to use it. 6-14 business days for the United States and Canada. 5-11 business days for Australia, New Zealand, and Singapore. 7-15 business days for the United Kingdom, France, Spain, Germany, Netherlands, Japan, Belgium, Denmark, Finland, Ireland, Norway, Portugal, Sweden, and Switzerland. 10-25 business day for Brazil and Mexico. 10-20 business days for Russia. Expedited shipping is available for the entire world, if customers would like to purchase it. If you need to return anything you’ve purchased to TomTop, you’ll need to contact customer service. However, as mentioned previously, that’s a difficult task. You can use the wholesale email address for TomTop, which is reserved for those interested in selling the company’s items in large quantities, at [email protected] to reach a human representative who can assist you. TomTop does specify that items can be returned “in most cases,” meaning your return could be rejected. Typically, TomTop grants returns for products damaged during shipping or incorrect items that weren’t meant to be sent to a customer.